Issue 17 is our themed issue on Emerging Investigators, featuring papers from some of the rising stars of analytical science. The aim of this issue was to highlight some of the outstanding young analytical scientists of today, and in doing so capture newly emerging high-impact areas of research – once you’ve taken a look at the papers, we hope you’ll agree that we’ve succeeded in doing this! The issue is introduced in an Editorial from the Guest Editors: Lane Baker of Indiana University and Ryan Bailey of the University of Illinois. We hope that you enjoy this themed issue – please let us know your thoughts by leaving a comment below. We are delighted to announce the latest impact factor for Analytical Methods is 1.821 according to the 2014 Journal Citation Reports ®. We would like to thank all of our authors, referees, Editorial and Advisory Board members for their contributions to the success of Analytical Methods. Submit your best work to Analytical Methods today. *The Impact Factor provides an indication of the average number of citations per paper. Produced annually, Impact Factors are calculated by dividing the number of citations in a year by the number of citeable articles published in the preceding two years. Data based on 2014 Journal Citation Reports®, (Thomson Reuters, 2015). Analytical Methods Impact Factor highest ever: 1.94! We are delighted to announce our highest Impact Factor* yet with 1.94! Analytical Methods has continued its impressive growth. The journal maintains its position as a place to publish exciting research on early applied demonstrations of new analytical methods with clear societal impact. Submissions focus on the advancement of analytical technologies for wider application by the international scientific community. Areas covered include developments within the fields of healthcare, pharmaceuticals and biomedical diagnostics, environmental and forensic analysis, heritage science, agricultural science and food products, industrial process development and product validation. Analytical Abstracts would like to welcome a new Advisory Board member to the Board: Dr Stuart Chalk. Dr. Stuart J. Chalk is an Associate Professor in the Department of Chemistry. Dr. Chalk’s research emphasis is in the areas of environmental monitoring, XML tools for Chemical Informatics, linked chemical data, and the semantic web. Dr. Chalk joined UNF in 1996. 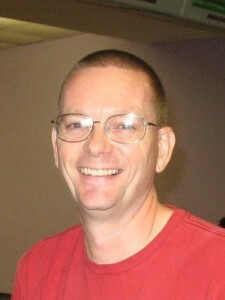 Since then he has received an Undergraduate Teaching Award, published the first two UNF patents, and was co-PI on an NSF funded grant for the Analytical Sciences Digital Library (http://www.asdlib.org), a digital library for the enhancement of analytical science education. In 1997 he created the Flow Analysis Database, an online resource for searching the flow analysis literature (http://www.fia.unf.edu/). Currently, Dr. Chalk is working on colorimetric methods of analysis for the determination of cyanide, nitrate/nitrite and phosphate/arsenate. He is the software and metadata architect of an open source electronic laboratory notebook called the Eureka Research Workbench and designer of the Experiment Markup Language (ExptML), a markup language created to capture and store research data from scientific experiments (http://exptml.sourceforge.net). Dr. Chalk is also one of the authors of the Lower St. Johns River Report (http://www.sjrreport.com), a City of Jacksonville Environmental Protect Board grant, and is the curator/developer of the UNF Environmental Center’ Digital Archive project. Stuart joins the rest of the Advisory Board in the oversight of the Royal Society of Chemistry’s premier current awareness and information retrieval service for analytical scientists. The aim of this issue is to highlight important developments and novel applications in the area of analytical methods and their application to energy research, climate change and environmental issues. It is envisaged the issue will cover a range of topics, including a mixture of both fundamental advances and exciting new applications. Guest Edited by Alastair Lewis (The University of York) and Dermot Diamond (Dublin City University). Both Communications and Full Papers can be submitted for consideration; if you would like to contribute a review-type article, we would be happy to discuss with you. We are delighted to announce that our Impact Factor* has risen to 1.9! Analytical Methods continues to grow, and remains the the place to publish exciting research on early applied demonstrations of new analytical methods with clear societal impact. The journal focuses on the advancement of analytical technologies for wider application by the international scientific community. Areas covered include developments within the fields of healthcare, pharmaceuticals and biomedical diagnostics, environmental and forensic analysis, heritage science, agricultural science and food products, industrial process development and product validation. An international forum for scientific discussion of the methods of high performance liquid chromatography in its various forms, along with the complementary separation techniques such as electrophoresis, electro-chromatography, field-flow fractionation, supercritical fluid chromatography and hyphenated techniques, such as LC-MS and CZE-MS.
As well as the wonderful themed papers on Cosmetic Ingredients, we also have a number of brilliant non-themed articles in this latest issue. Topics covered include water analysis, hydrogen peroxide sensing, and CN– testing in cells. These papers will be free to read until January 18th.